Hi friends! I’ve been soooo sick with a nasty flu this past week but by some Christmas miracle I was able to finish decorating my Christmas tree and I ‘m super excited to be share with you my White Christmas Tree – Rustic Glam Style!! Thank you to my sweet , talented friend Ashley at Cherished Bliss for inviting me to join in this fun blog hop! Do you love looking at Christmas trees on Pinterest and visiting Christmas Home Tours in your area? Then you’ll love seeing 9 gorgeous Christmas trees today! 9 creative decor bloggers are sharing their brand new tree decor ideas with you – up close and in detail! 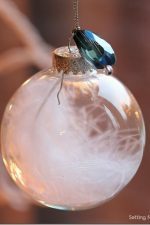 This will be a super inspirational round robin Christmas tree blog hop – full of lots of gorgeous holiday tree decorating ideas and tips! 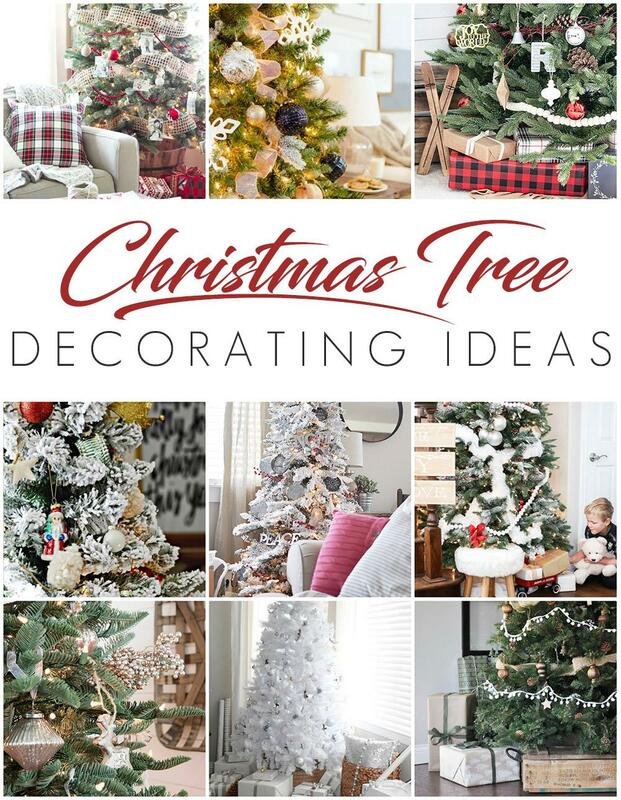 After you read my post I’ll point you to the next blogger’s Christmas tree post to visit – I’m sure you’ll love all of my blogger friends beautiful tree ideas! 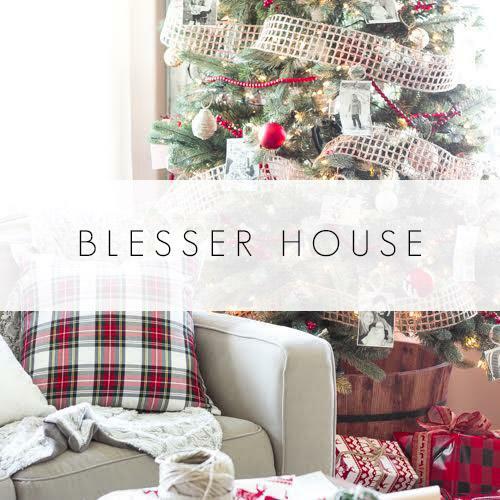 If you’re here from Bless’er House – welcome!! I’m so glad you’re here! Isn’t Lauren’s tree gorgeous? 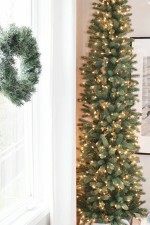 Here’s my White Christmas Tree – Rustic Glam Style! Last year I decorated my Christmas tree in a Winter Woodland Glam Style – with blue and white ornaments, sparkly owls and faux fur. This year my tree is more neutral with more metallic touches of silver and gold. I still kept a touch of woodland style – I think the woodland look is perfect for the holidays especially since we’re lucky enough to be surrounded by pine, cedar and birch forests here….which right now are sparkling with a fresh coat of white winter snow! I love my new tree collar! This year is the first year I’ve gone into ‘tree collar territory’ – and I love it! Click on any image or link below to be taken directly to the product you are interested in learning more about! DIY Black and White Vintage Woodland Tags (perfect as gift tags too!) – tutorial coming soon! 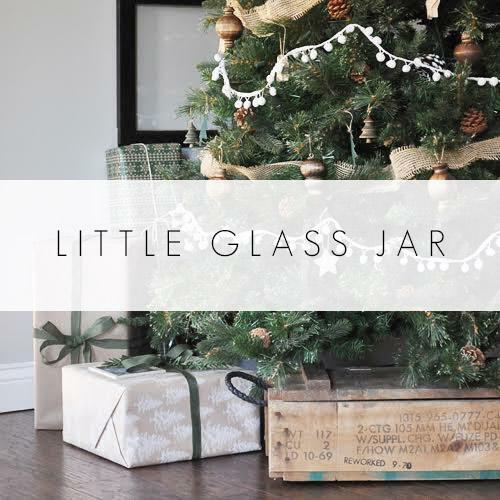 Be sure to hop on over to Little Glass Jar right now to see her beautiful –>> Neutral Rustic Christmas Tree! Love it! White is a Beautiful choice! At our home we used snowman to decorate the tree, the kids loved it. This is so glam and pretty! 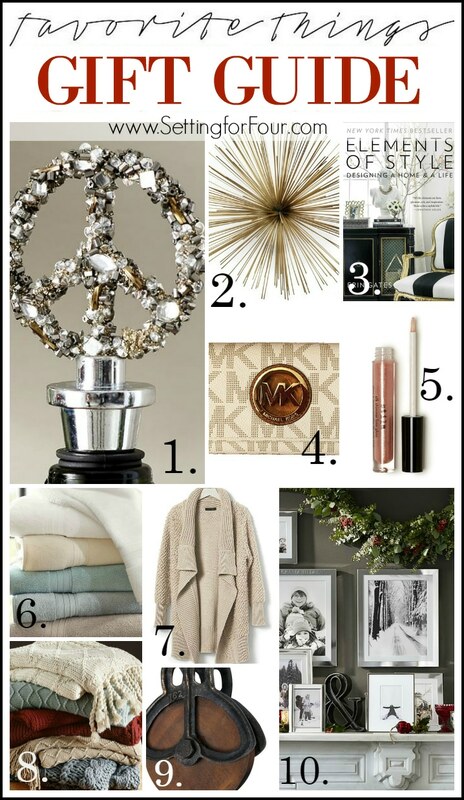 I love the rustic touches mixed with the glam touches! I love your tree! I need to add a white one to my tree collection. It’s gorgeous. 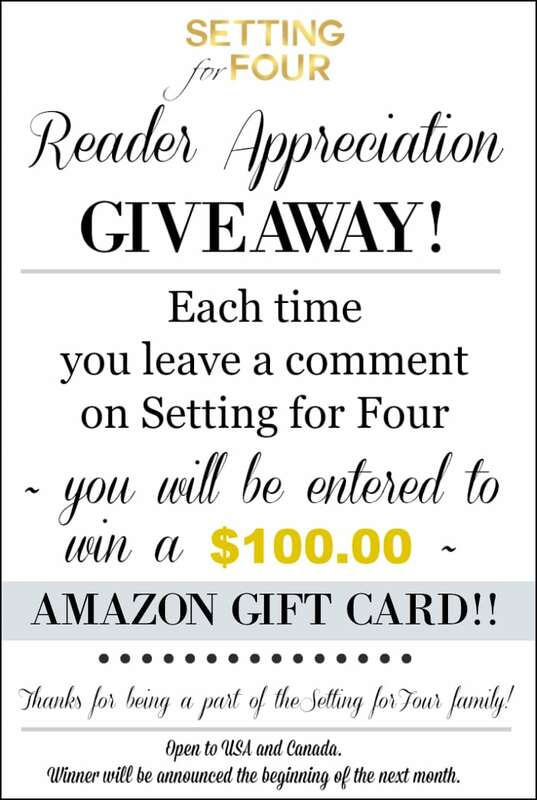 Also, thanks for the chance to win during this holiday season. 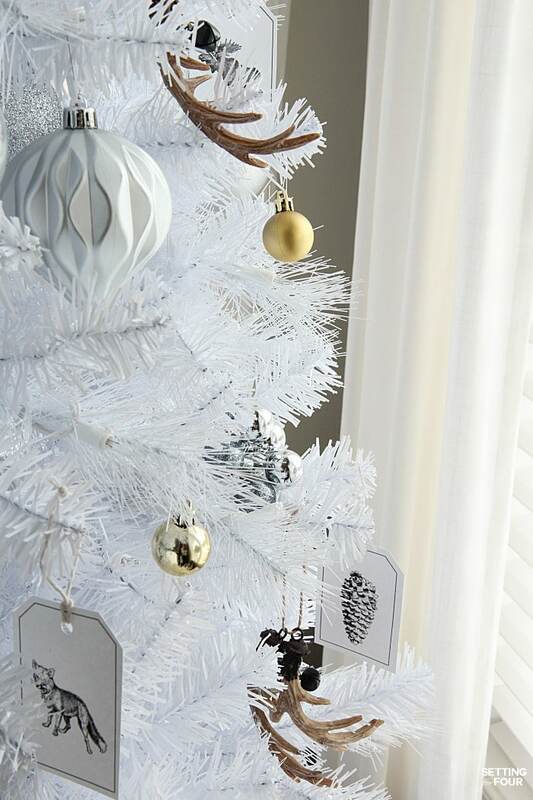 Love your white Christmas Tree and I love the rustic antlers , where Can I buy them ? I just saw a link for white antlers buy I prefer the rustic you have in your tree. Thank you. I bought those antler ornaments at a small independent decor store here a few years ago Maria. I’m so glad you like my Christmas tree! Love all the beautiful trees, I have to say that I just Love this time of the year! 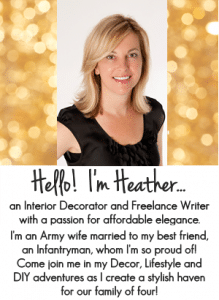 Love your white tree, Heather! I have never heard of a tree collar but I love it! I’m adding it to my list for next year – thanks for sharing your lovely tree. Love the white tree!! It looks so beautiful!! I love the tree. I get sooo many emails but I always enjoy reading yours to the end. Happy Holidays. Hope you feel better soon. I love the mix of glam and woodland that your tree creates. Gorgeous! 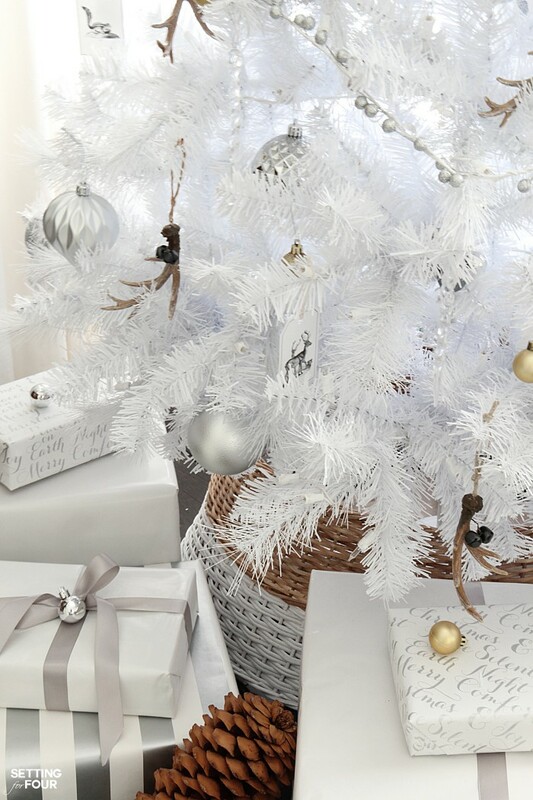 Love the white tree with your decorations. Beautiful! I love the white Christmas trees. Our family has a theme of winter wonderland. 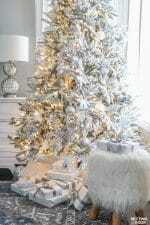 My tree is white with white and silver ornaments and white poinsettias. The Christmas trees are beautiful. Thanks for the decorating inspiration! I always love how you decorate. Lots of talent. I love that white tree! You have done such a good job. It looks so clean and crisp. Love your tree, so beautiful!! I love the garland and the antler ornaments you added, pinned! Love all the white! Surely do hope you feel better soon. Maybe you’ll have this flu stuff over with before Christmas gets here! 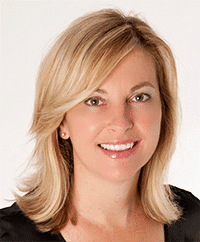 Love your blog – great info and photos. Keep it upo! Gorgeous! It reminds me of snow. Hope you get well soon. Love all the Christmas decor. We also did a white tree this year, with simple red balls and red bows. I usually alternate between simple one year and colorful the next. In my heart I’d love to have both every year! Thanks for all the great ideas! My husband and I have just moved back to the area we are from after 25 years away. Our family and friends are here and we are so excited to have a new home to invite them to for the holidays. 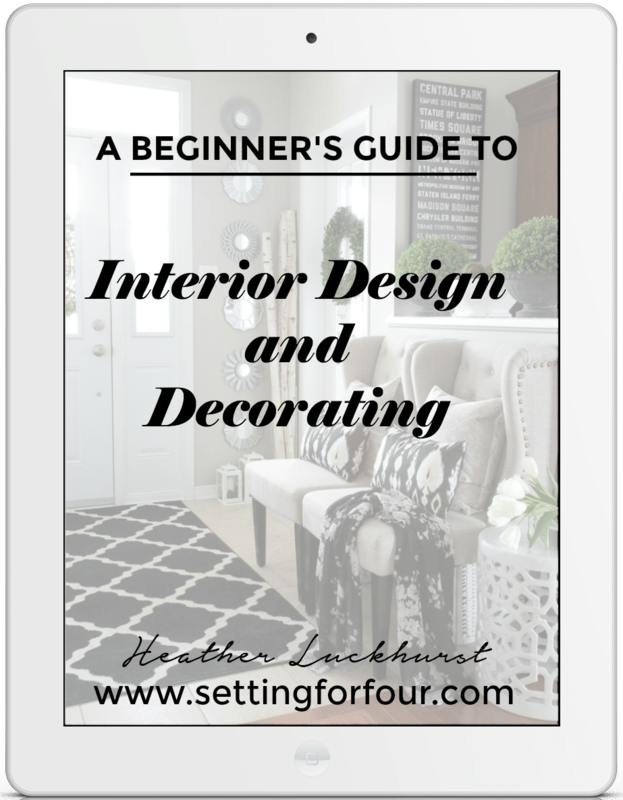 But also a little intimidated too, trying to get the house set up and figure out how to do Christmas decorations in a different home! Some of them seem to have disappeared in the move. 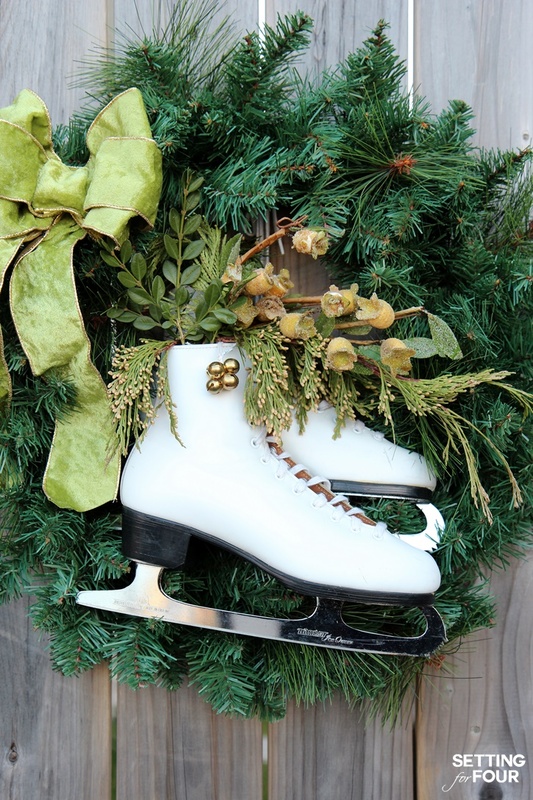 Have a wonderful holiday and keep the inspiration coming! I love your rustic tree. It’s so beautiful especially the white tree and trims. Just lovely! 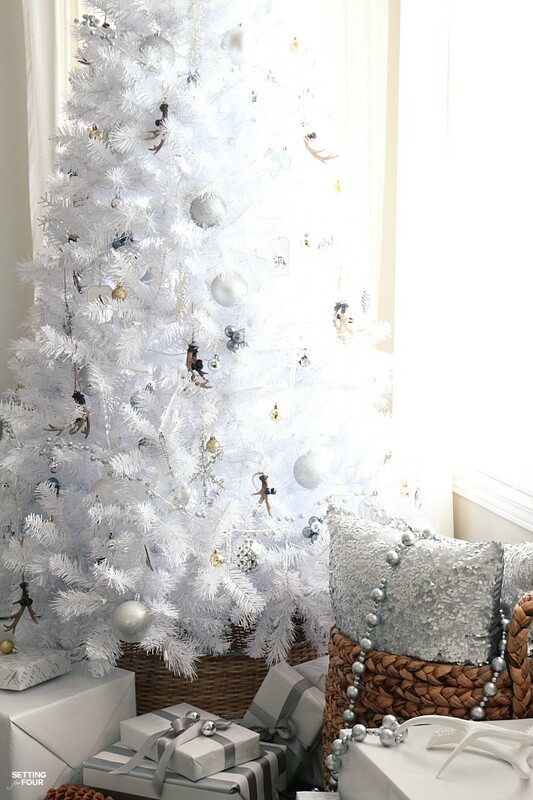 Love your white tree and your “rustic glam” theme…..so pretty and festive! Thanks for sharing! Wow! 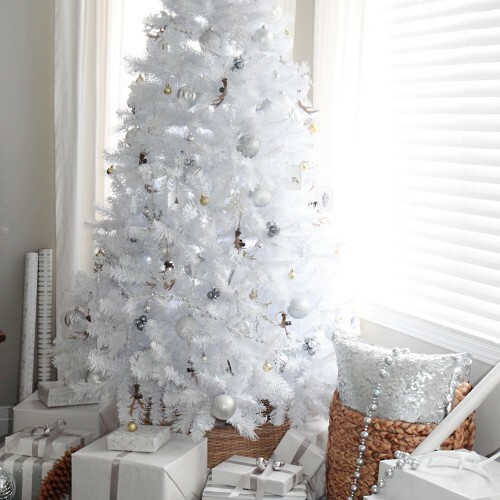 I love a white Christmas tree and this is just so pretty! Love your tree. Especially love the woodland touch and the tree collar. Thanks for sharing this with us. And I really hope you are doing great in your recovery. Loved discovering the tree collar! Thanks for helping me continue to learn new things each day! Love the white and silver. When I was a little girl we had white tree- what memories! Love the white tree! I just painted my livingroom in SW Sea salt, and usually use a lot of turquoise in my decor, the white tree would be beautiful, as I’m doing copper, brushed nickel, and turquoise this year! I love your tree just the right touches of woodland. Didn’t think I would like a white tree till I saw yours. It is great. Like the tree collar nice touch. Thanks for sharing. Very nice, enjoy your blog! Love the white Christmas tree.It’s like a winter wonder land.